Bank of Ireland’s Jennifer Howett, Pierce Butler and Lee Evans sat down to discuss the latest Brexit developments. Bank of Ireland shared an update on Brexit at its Grand Canal Square branch, with global markets senior dealer Jennifer Howett joining head of sectors Pierce Butler and head of FX trading and strategy Lee Evans. With so much uncertainly around Brexit, Butler and Evans gave a timely update on the biggest challenges facing businesses at the moment and answered some of the frequent questions they are faced with in their respective roles. Head of sectors for Bank of Ireland Pierce Butler discussed the impact Brexit is having on businesses in Ireland, but said that Brexit will also create opportunities for some Irish companies. “I think the uncertainty around Brexit has impacted in terms of business confidence. The bank produces an economic pulse, which is a survey of 1,900 businesses on a monthly basis and it measures business sentiment, and last year was really a tale of two halves. In the first half we saw increasing levels of business sentiment, and in the second half we saw that reduce down. “Having said that, companies are very positive about the outlook for their own businesses. Bank of Ireland conducted research with RedC Research which found that 58% of companies expect their profits to grow in 2019, and only 10% expect a reduction. “There will be opportunities around Brexit for a number of companies and they should particularly focus on who their competitors are in the UK and what markets they are exporting to in either Ireland or mainland Europe and if there’s an opportunity to displace those,” he added. Lee Evans is commonly asked about the outlook for Sterling and he ran through some possible scenarios. 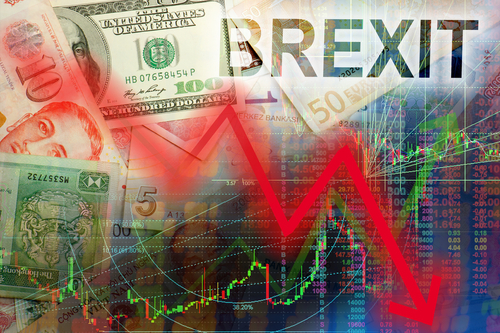 “If we start with a no deal scenario, the Bank of England has forecasted a 25% decrease in Sterling which we see as a little bit excessive. The all-time high in Sterling is 98p so we imagine that will probably be challenged in a no deal scenario. On the other side, if we do see agreement of a deal then we expect a move back down towards the low 80p range while an extension of Article 50 should limit Sterling gains to 85p. Sterling is definitely undervalued so the risks are very much two-sided at the moment. 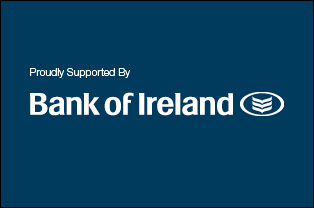 You can find a range of business supports, insights and resources on the Bank of Ireland website here. You can also watch the full vodcast below.